Challenges, the life of a foodie are full of them; even more if you are a blogger. We apostrophize ourselves as Daring and caring. Being it savory or sweet, we meet up each month in two occasions to share the results on a chosen challenge. The sweet challenge that us, Daring Bakers (DBs), have been presented with this month was Tiramisu. Thanks to this choice, we were able to make an ideal travel starting from India, reaching USA with a little touch of Italy. The hostesses for the monthly DBs’ challenge were the lovely Aparna and Deeba from the colorful India. 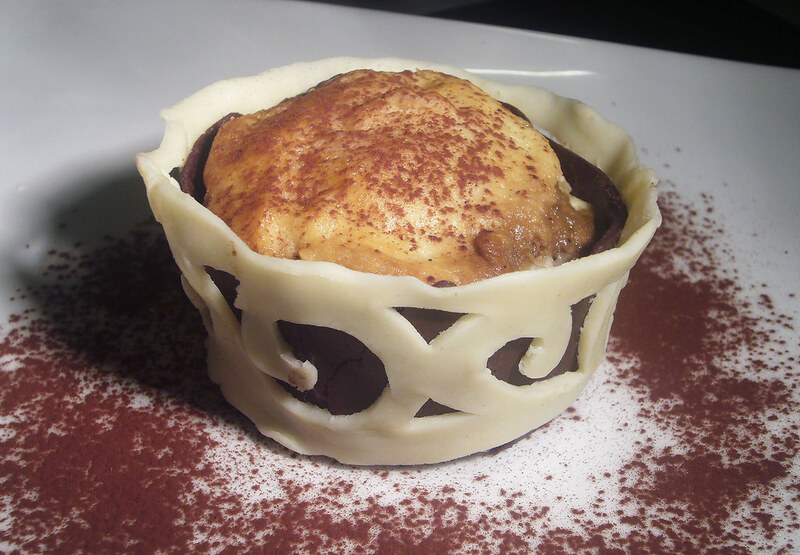 They chose the recipe for Tiramisu proposed by pastry chef Carminantonio Iannaccone. Major part of the challenge was the making of mascarpone and ladyfingers biscuits from scratch. Frankly speaking, this was not the hardest part of the challenge; the recipe itself was quite long to finish. The entire process took a whole of 3 days with 2 days dedicated strictly on the tiramisu cake. 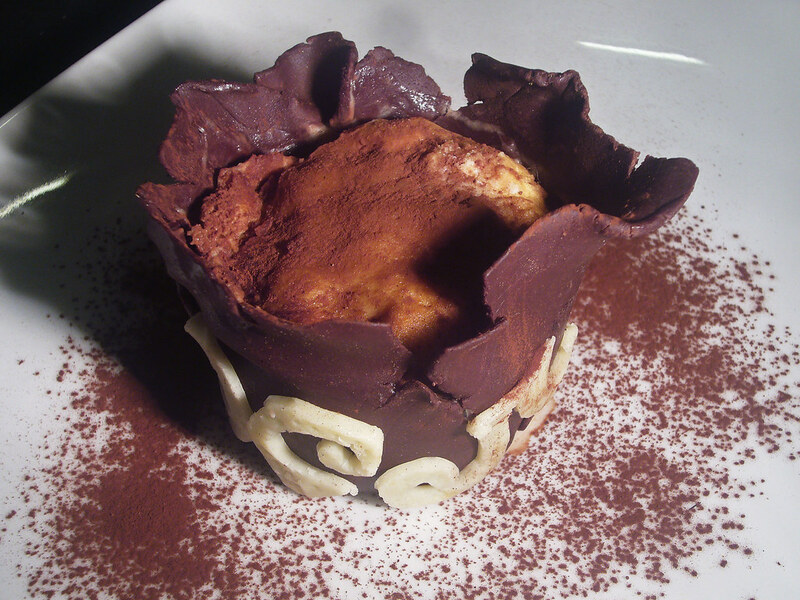 Have you ever tried to make this Italian dessert? 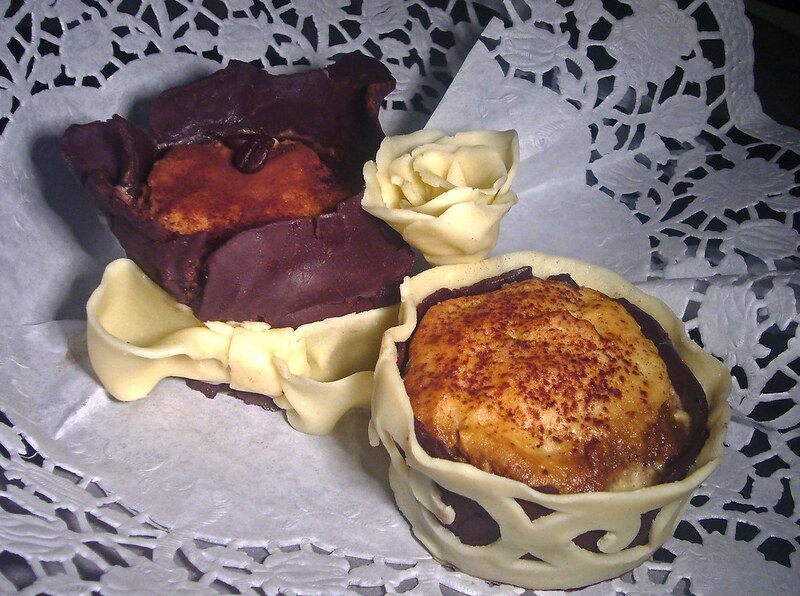 I am sure though that you have tasted it: soft, spongy biscuits soaked in strong coffee and layered with a fluffy and delicate mascarpone and egg cream; a dusting of cocoa powder crowns it all. It is not a really difficult cake to make and it is always a great success with guests. Here there is the recipe we were asked to follow. My impressions on this recipe? It is far too complicated without apparent reason, from my point of view. In particular it asks us to prepare the mascarpone cream in 4 separate steps: the zabaglione, the pastry cream, the whipped cream and then to combine the whole with the mascarpone in the final cream. Normally, we would do it by whipping the egg yolks with some sugar and separately the egg whites. The yolks are then combined with the softened mascarpone and then the egg whites are folded in. Done this way, the cream comes out velvety and rich with a delicate yolk taste; a perfect match with the strong coffee soaking the ladyfinger biscuits (by the way, I do NOT like any alcohol in my tiramisu and I barely tolerate coffee in the cream). If you are concerned about raw eggs, you may whip the yolks over a double boiler making a sort of zabaione and a beat the egg-whites into a swiss meringue. The hardest part of the recipe was actually the presentation. Not easy to come up with an interesting plating. 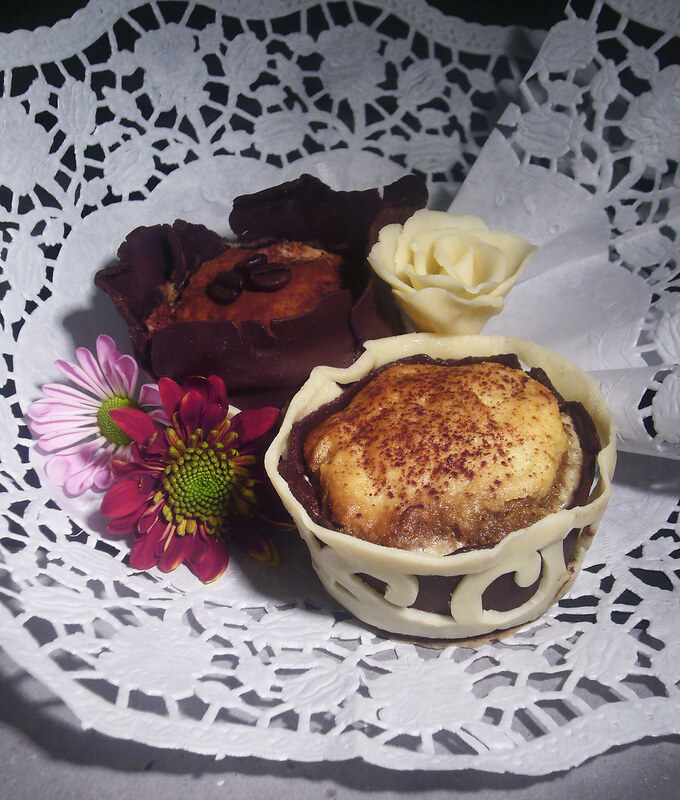 Since I wend for round, muffin-like ladyfinger biscuits my tiramisu will be like a little cake. What to decorate it with? Chocolate naturally, plastic chocolate. What is this? Remember when as a kid we were use to play with Play-Doh or similar dough? Plastic chocolate is just alike, only that you can eat it and it is delicious! Read here how to do it. 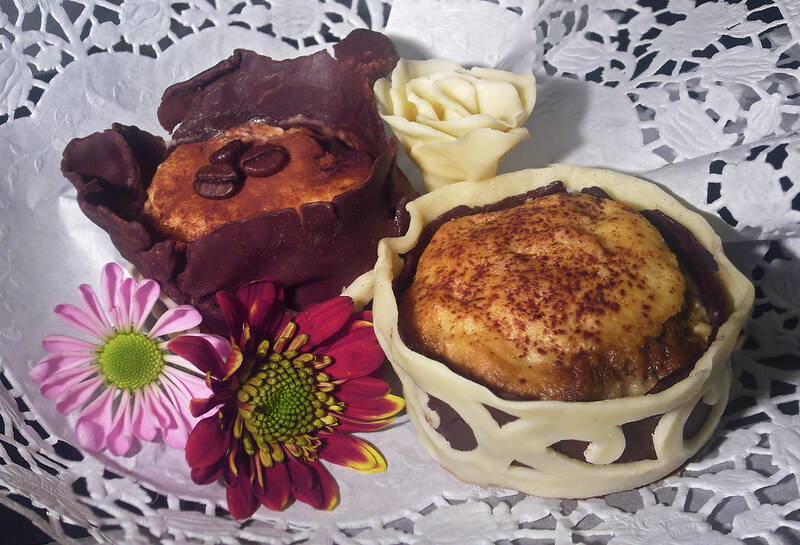 A rolling pin, a muffin tin and a knife made the trick (with some flower thrown in too). 1 Another point about this recipe is more on a terminology base. What it is called a zabaglione, it is not a zabaglione at all since to make it the egg yolks are whipped over a double boiler, with the sugar and liquor until stiff and cooked. What the recipe calls for will produce a custard. Love the presentation. Never knew about making plastic chocolate. Think I shall try this out. @Aparna It is a very easy and versatile creation, worth doing it! Thanks all for popping by! It was quite a marathon this month wasn't it?! I felt like I'd done the equivalent of 3-4 posts and I see you have broken yours down into separate posts which is a very good idea. I like your decoration about the edge. Were you inspired by Deeba? Thankfully next month sounds easier!